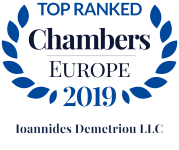 We are a top-ranked, full-services commercial law firm at the forefront of the Cypriot legal services market. In our ranks we have lawyers recognised as leading individuals in their chosen fields. Our corporate law team has unrivaled experience and has advised on some of Cyprus’ largest business deals to date. Our litigators are purebred litigators who advocate some of the most complex, multi-jurisdictional disputes heard before the Cypriot courts. We act as counsel to the largest private and public entities in Cyprus, including the Cyprus government. IOANNIDES DEMETRIOU LLC’s domestic client base includes some of the island’s largest corporations which operate and conduct business in all areas of the commercial spectrum, public and semi – public bodies, local banks, trade unions, public and private foundations, universities, the largest building contractors on the island, government concessionary holders and a host of local commercial enterprises considered leaders in their fields. The government of the Republic of Cyprus entrusts the firm’s lawyers to advise on international contracts, sit as arbitrators in disputes involving local government contracts and to head public enquiries. The foreign client base is equally enviable. 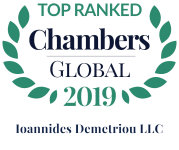 Many of the largest and most reputable international law firms choose Ioannides Demetriou LLC as their preferred firm to work with in Cyprus. Our foreign client base includes foreign governments, multinationals, large corporations and private individuals conducting business in multiple jurisdictions. 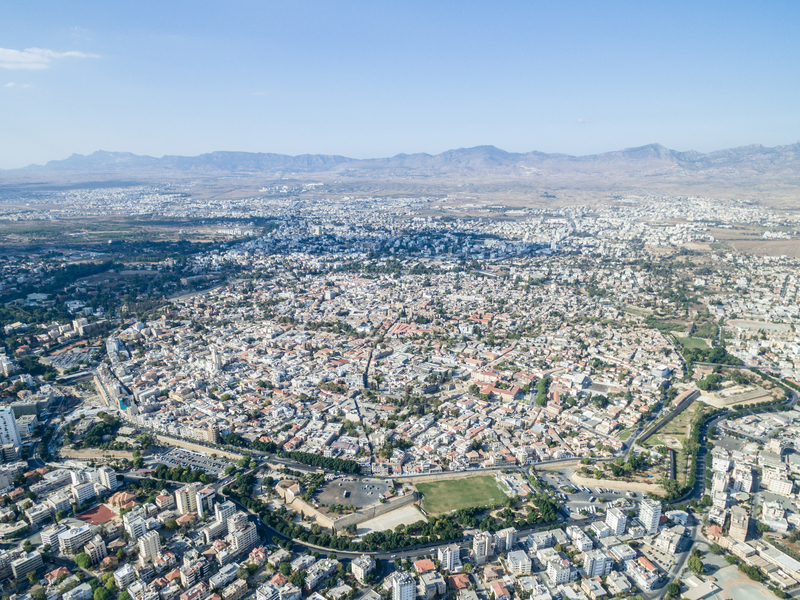 We routinely handle high value international corporate disputes that contain a Cypriot element as well as enforcement proceedings in relation to foreign arbitral awards. Due to the demands of our client base, which conducts business both domestically and internationally, we understand and place great emphasis on the need to foster strong and longstanding links with the world’s leading law firms. These range from the largest international law firms to independent law firms. These firms may differ in size but they share our commitment to quality, client care and the need to act in accordance to the highest ethical standards of the legal profession at all times. Our lawyers are members of the International Bar Association, the Cyprus Bar Association, the Chartered Institute of Arbitrators, the Institute of Chartered Accountants in England and Wales, the Institute of Certified Public Accountants of Cyprus, The Society of Trust and Estate Practitioners (STEP) and the Institute of Directors. A number of our lawyers are qualified arbitrators, mediators and insolvency practitioners. We work to strict quality control standards, evidenced by the fact the we are the longest standing ISO certified law firm in Cyprus, holding the ISO 9001:2015 Standard for advocacy, legal advisors and legal consultancy in all fields of the legal profession. We work in established teams containing lawyers of all ranks, from Directors to Associates. This allows us to work in an effective and cost-efficient manner for our client’s benefit. Our approach to billing is flexible and totally transparent. Time spent on a case is meticulously recorded and clients have access to our time records upon demand. In many instances these accompany our invoices. Our “DNA” is a set of principles that form the basis of what we do and explain why we do it. They go deeper than providing the highest quality of legal services for we already take this as a given.